The price is very low at just 150/-. I used it for gifting. All students and young people should read it and follow them in their lives. Students should read this book. It is very thought provoking. So the portal should give a discount for such inspiring books. The book has some values of lives which should be remembered throughout one`s lives for success. It will encourage students to succeed in their lives. The portal can give discount for such nice books. Easy to understand. English is very simple. Nice thoughts and morals. 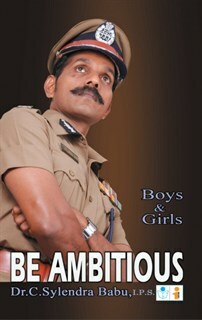 The book written by IPS officer. So it is very inspiring. All should read this book. Both old and young can read it at any time of their lives.